Michael Searles was Morden College Surveyor from 1765. His son, also Michael Searles, began his career as a surveyor too and later became a successful architect, whose buildings include The Paragon in Blackheath and Gloucester Circus in Greenwich. This part of the survey of East Greenwich shows lands leased to the widow of Ambrose Crowley in 1771. Crowley’s Wharf is recognisable (1) and opposite, The Green Man pub and a number of other buildings on Ballast Quay. At the end, adjacent to the dyke bordering The Great Meadow, is a building which may be Thames Cottage, shown on the 1705 elevations of Greenwich, in which it is depicted as a large property with a gazebo. 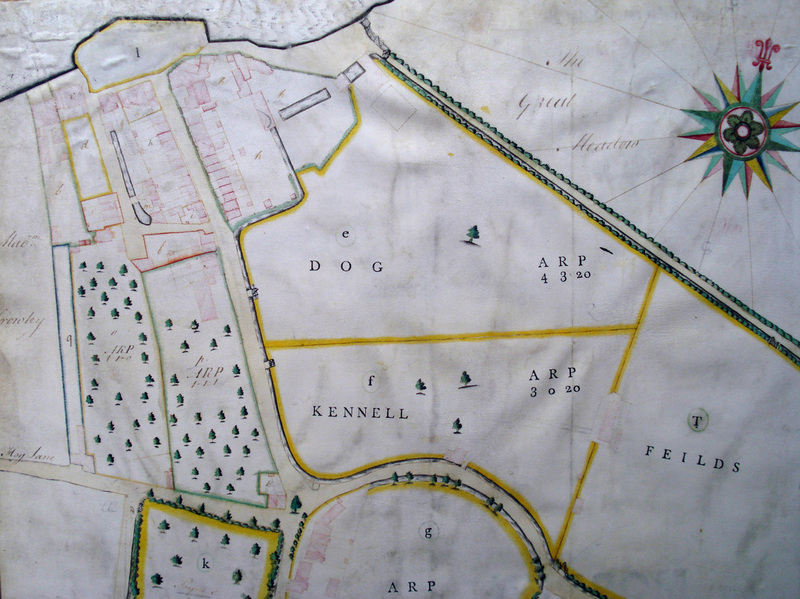 Divided from the Great Meadow by the dyke known as Willow Walk (later Pelton Road) are Dog Kennell Feilds (sic), the land William Coles Child leased from Morden College to build his estate. one of the suppliers of coal to William Coles Child. William Coles Child took out an 80 year lease from Morden College on The Great Meadow in 1838 to “form wharves and erect manufactories”. He was young, enterprising and wealthy because he had inherited his family’s coal, cement and lime business, based at Belvedere Wharf in Lambeth, which he subsequently sold to the Charing Cross Railway in 1863. Morden College clearly wanted any development on the site to be of some quality, as the lease stipulated that he must spend at least £3000 on “substantial buildings”. 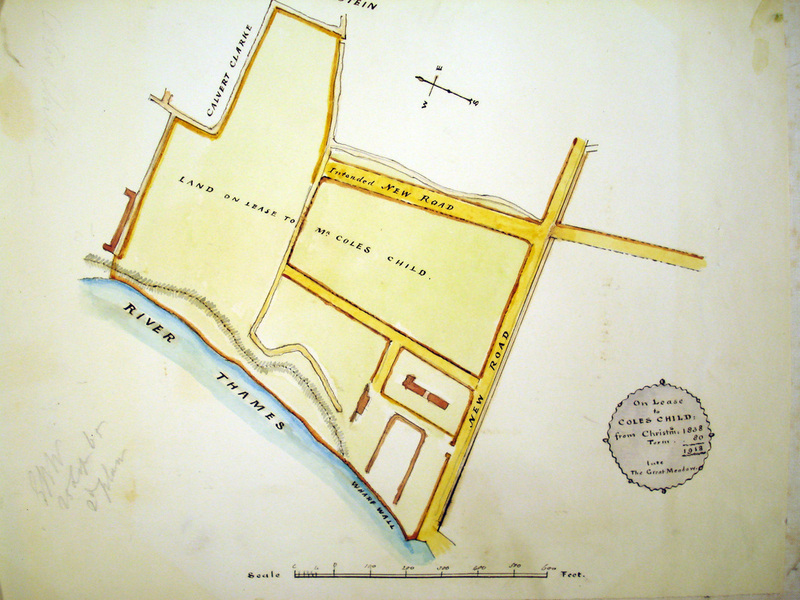 To handle the coal trade, William Coles Child opened Greenwich Wharf (latterly Lovell’s Wharf) in 1840 and built coke ovens and a limekiln, and later added the manufacture of cement to his enterprises. He claimed to be the largest manufacturer of coke in England but coal was his principal business, imported in the holds of colliers from the coalfields around Durham, and he offered it for sale at extremely competitive prices. 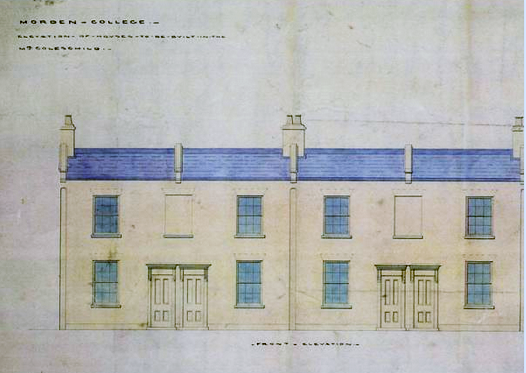 Elevations for proposed housing to be built on behalf of Morden College by William Coles Child and the architect George Smith. The street names reflected the coal trade which had made Coles Child prosperous and connected East Greenwich with the collieries of the North East, where most of the local ballast ended up. College, in order to build housing for the growing work force. He also constructed, at his own cost, a new road along the line of Willow Dyke (now Pelton Road) to facilitate the transportation of coal and gravel to and from Greenwich Wharf. The construction work was carried out under the supervision of George Smith, architect and surveyor to Morden College, who later built Greenwich Station. Much of the housing stock we see today in the streets behind Ballast Quay is the result of their collaboration. 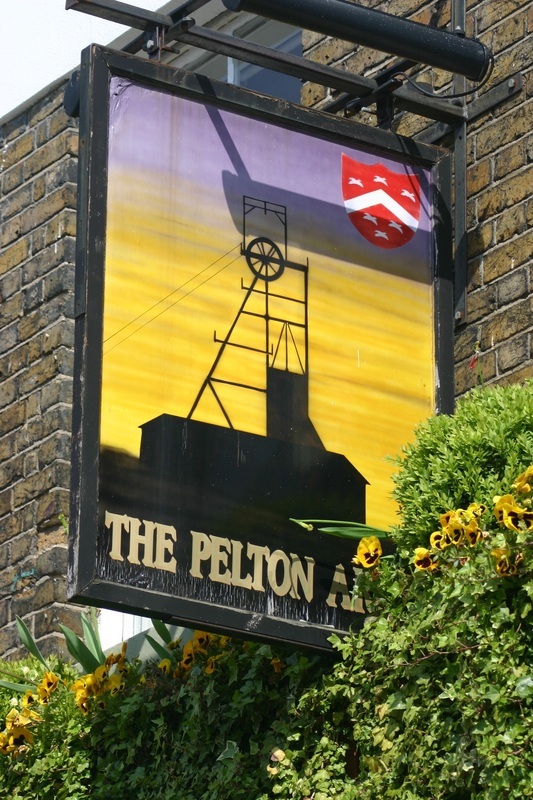 The street names, such as Pelton, Caradoc, Braddyll and Whitworth, and also the Pelton Arms pub, all pay tribute to the coal trade with the Durham collieries which generated the wealth that built them. Coles Child had other business interests, ranging from brick works, hop growing and railways, and he resided in the Bishop’s Palace at Bromley, where he also involved himself in philanthropic work. In 1845-46 he collaborated with William Bracegirdle of Thames Cottage in the financing and construction of the East Greenwich Steam Boat Pier but withdrew his support from the whole enterprise causing Bracegirdle to become insolvent in 1850.